Ira Milo Eisenhart, Jr., 92 of Downingtown, PA, died Friday March 29,2019 in the Ashbridge Manor, Downingtown, PA.
Lillian (nee Morris) Eisenhart. Milo served during World War II in the Navy aboard the USS Lexington where he saw action in the Battle of Leyte Gulf. Milo lived in Lansdowne for 60 years prior to moving to Downingtown last year. 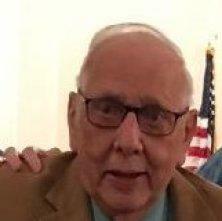 He was a member of Aldan Union Church, Aldan Memorial American Legion Post 1000 and Lansdowne Lodge No. 711 F&AM. He retired as a distributor for Pepperidge Farms. Survived by two sons: Daniel (Margaret) Eisenhart and John (Maryellen) Eisenhart. Please share your memories of Ira.